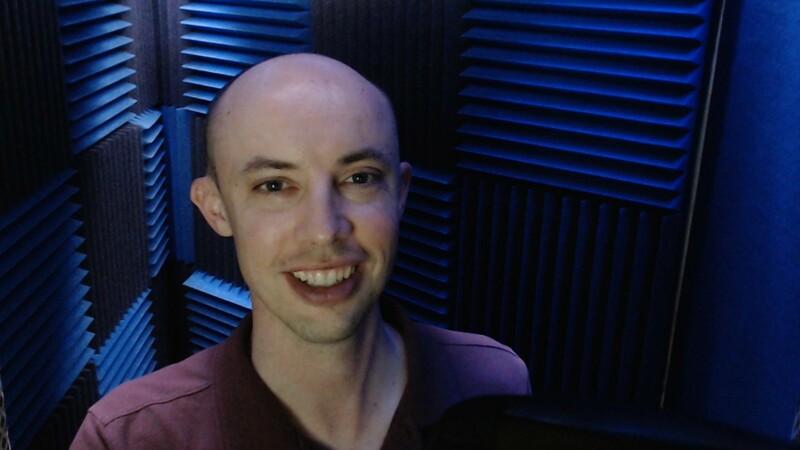 Donny Baarns is a working voice talent with fast turnaround and a versatile, Millennial sound. Donny's voice has been described as friendly, easygoing, smart, fun, personable, warm, conversational, engaging, genuine, authentic, believable, guy next door, high energy, soft sell, hard sell, sincere, cool, hip, corporate, business like, relatable, sophisticated, knowledgeable, promo, urgent, educational, and relatable.rnrnHe is consistently cast for a wide range of age requirements, primarily male teens, 20's, 30's, & 40'srnrnYou can contact Donny directly at Donny@DonnyVoice.com, or via cell at (818) 903-0084. Donny's ability to nail voiceovers isn't an accident, since he's also been broadcasting, giving public presentations, and using his voice professionally for a decade. His 8-year experience as a successful advertising sales executive also helps him understand the importance of meaningfully reaching customers with your product's story. When he isn't recording or narrating, Baarns serves as the Spring Training play-by-play voice of the Oakland Athletics. He's part of the Triple-A Omaha Storm Chasers broadcast team, and calls college basketball, hockey, soccer, volleyball, and softball for Creighton University and the University of Nebraska-Omaha in the fall and winter. Believable is the first word that comes to most client’s minds when describing Donny’s voice. Friendly, Easygoing, Smart, Fun, Relatable, Trustworthy, Sincere, Authoritative, Friendly, Fresh, Powerful, and Energetic are also accurate adjectives. Donny can also perform Sports Broadcaster and Public Address voices. Whether your need is a voice over for a commercial, white-board animation, corporate narration, video, e-learning, explainer video, training video, internet video, tv project, educational script, IVR prompts, on-hold message, tutorial, direct response ad (DR), talking toy, gps, medical, technical, legal, mobile app (android or ios), radio imaging, or high powered promo . . . Donny can deliver. Donny comes from an entrepreneurial family, so he loves working with other business owners and action-oriented people. He's prompt, reliable, and easy to collaborate with. Most projects are delivered within 24 hours. Donny prides himself on communicating openly and honestly with clients, and treating them like business partners. When you work with Donny, you'll have peace of mind that your project will be completed smoothly, and in a timely fashion. As a client, you have a right to demand top-quality audio. That's what Donny delivers. All of his voice recordings use a Sennheiser MD-421 II microphone for world-class sound. His studio is equipped with a Presonus AudioBox, StudioOne digital audio workstation, and Izotope RX6 (the audio editing software used by the world's leading audio professionals). rnrnDonny is not only the son of an entrepreneur; he's also the son of an audio engineer. His equipment and voice recordings reflect that, and help separate him from the competition. Donny can provide production music and sound effects to create a fully finished, world-class product.